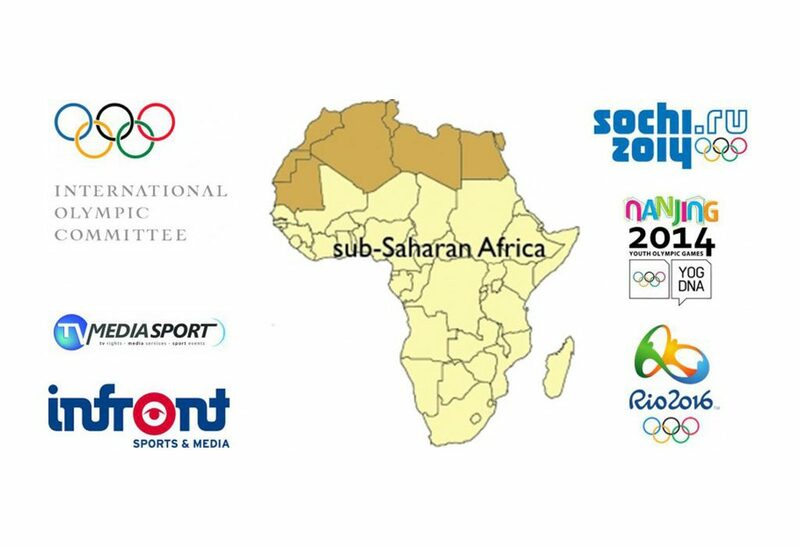 The International Olympic Committee (IOC) has awarded the broadcast rights in Sub-Saharan Africa to Infront Sports & Media AG and SuperSport International for the XXII Olympic Winter Games in 2014 in Sochi, Russia; the Games of the XXXI Olympiad in 2016 in Rio de Janeiro, Brazil and the 2nd Summer Youth Olympic Games in 2014 in Nanjing, China. 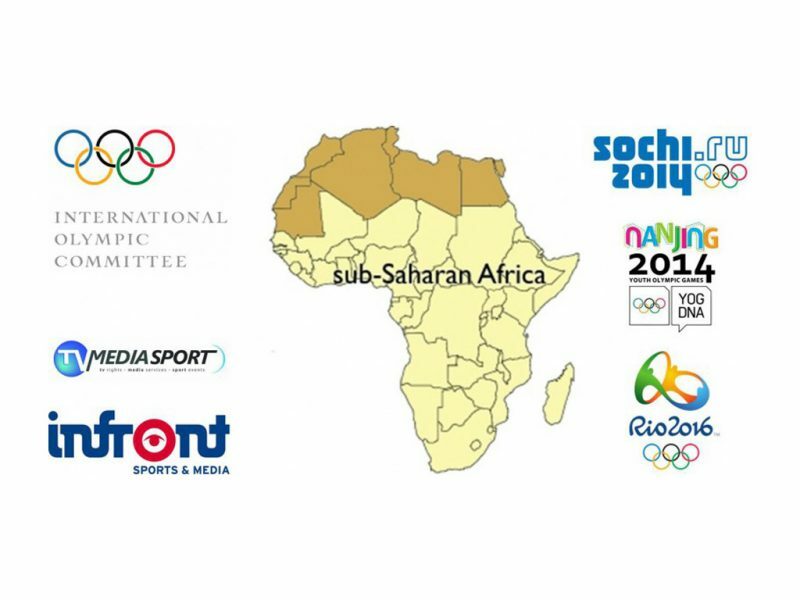 Infront Sports & Media, the leading international sports marketing company, acquired exclusive Olympics broadcast rights on free to air television and non-exclusive internet and mobile broadcast rights in Sub-Saharan Africa. Infront will partner with TV Media Sport (TVMS), the France based international sports event television and organisation agency, to fulfil the contract which refers to distribution in 43 countries and territories within the region. SuperSport International on the other hand, acquired the broadcast rights on pay satellite television, internet and mobile in South Africa and Sub-Saharan Africa. IOC President Thomas Bach said: “This agreement reflects the global appeal of the Olympic Games, and our aim is to reach audiences in all regions across the globe with the best broadcast offering. "We want to not only generate viewership for sports where African athletes already perform successfully, but also boost appeal for Olympic sports gaining popularity on the continent." IOC member Richard Carrión, who led the negotiations, said: "Infront has acquired the rights and will now work to sub-license those rights to broadcasters in the region to ensure excellent coverage of the Olympic Games for sports fans. "The partnership with Infront allows us to take advantage of its network across the continent, supported further by a tailor-made editorial plan for African broadcasters and their viewers." "SuperSport has a wealth of knowledge in broadcasting the Olympic Games, and this agreement will ensure a first class broadcast experience of both the Sochi and Rio Olympic Games," he added. Brandon Foot, Acting CEO of SuperSport, said: "This agreement continues a long and proud tradition of SuperSport broadcasting the Olympic Games, which we have done since 1996. "I’m delighted with this acquisition as the Olympic Games is one of the crown jewels in SuperSport’s programming with each edition proving enormously popular with viewers. "For the next Games in Sochi, we will have a dedicated 24-hour High Definition channel, while the 2016 Games will enjoy multi-channel coverage, including magazine shows, highlights and much more."